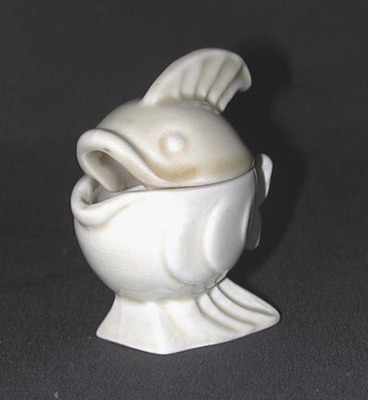 Mustard Pot by Clarice Cliff in a Fish shape. Good condition with no damage or restoration.Marked "Made in England". Size 3 inches high.